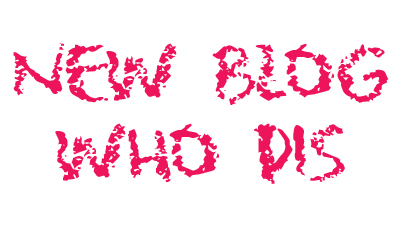 Ok, ok, ok... so not an entirely new blog, but a whole new concept? Yes! BURGERS AND BARBIE$' s-e-v-e-n year anniversary is fast approaching and my New Year's resolution (for le blog) is to show it some love! In addition to the OG burger reviews I typically post up here, I will also incorporate singular posts about music, beauty, art, travel, exclusive BTS shots, Burger Pawty updates and more! Also, if you haven't noticed, the site also got a mini makeover... how does it lewk? !